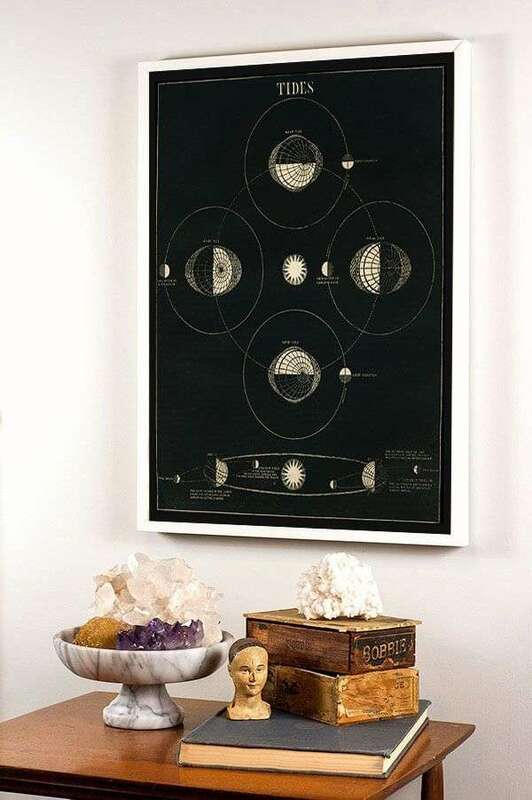 A beautiful Moon Art print based on an antique Astronomy illustration detailing the movements of the Earth, Sun, and Moon and the motion of the Tides, and restored in my studio to give it a unique design and composition and stunning textural finish as wall art. For lovers of Astrology art and Astronomy art, 19th Century art and illustrations, and beautiful vintage prints. 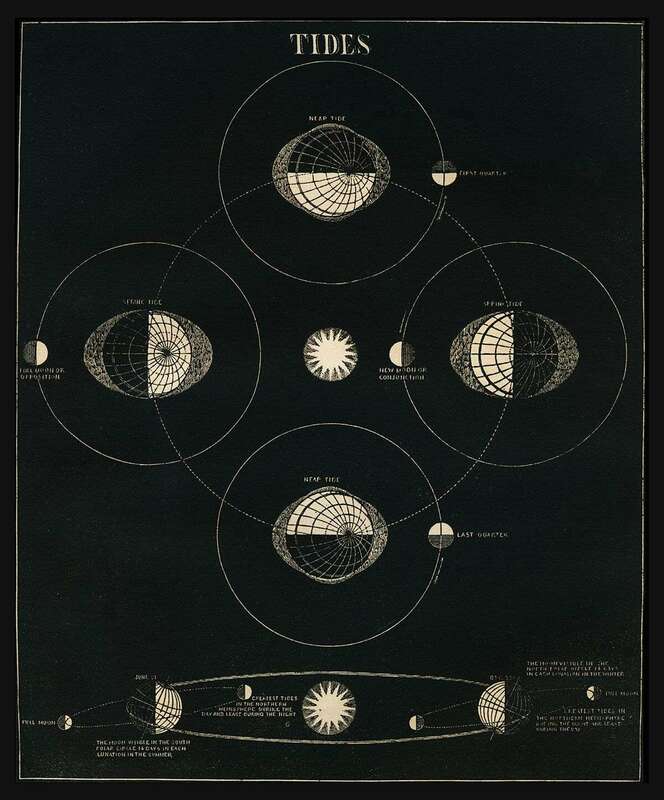 Available in a Black and Cream Moon Art versions or a Blue and Cream version. For all the Moon art dreamers!